May 29 has been designated by the United Nations (UN) General Assembly as a Day to honor UN Peacekeeping troops. Thus we are reminded that the UN remains the only universally representative and comprehensively empowered body the world has to deal with threats to international peace and security. 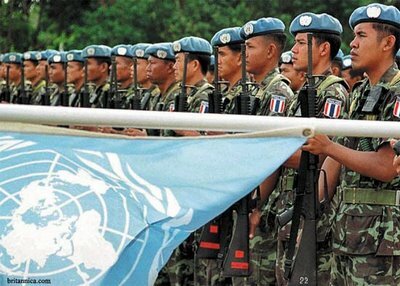 Peacekeeping operations have made the UN visible in many parts of the world, and the “blue helmets” have symbolized the peacemaking and conciliation role of the UN. The Nobel Peace Prize awarded to the “blue helmets” in 1988 testifies to the respect and confidence placed in them. The UN is the logical choice to provide a framework for multilateral engagement. The UN operates under its Charter which outlines norms of behavior, establishes means for the settlement of disputes and gives sweeping powers to the Security Council under Chapter VII for enforcement of peace. These powers are internationally binding and in many countries, carry the force of domestic laws. Yet the UN does not have its own peacekeeping forces and must always rely on the goodwill of a relatively small number of Member States to provide soldiers and finance. Often the UN peacekeeping operations are determined not by the situation but by the resources available. In practice, the UN must accept what it can get from any state that offers units. The UN Secretariat is designed to serve its member states and does not have the authority to impose standards on contributing countries — except where UN soldiers break national laws, such as having sexual relations with under-age children. There are situations which objectively threaten international peace and security, and the maintenance or restoration of order would require police actions, often swift and prolonged. However, for some types of action, the military working for the UN are only relatively trained. Most come from the ex-British Empire: India, Pakistan, Bangladesh, Nepal and Nigeria. They share the methods of training of the British Army and speak English. Now China is starting to provide troops with a non-English tradition. In 1988 the UN Peacekeeping Forces were awarded the Nobel Peace Prize. There have been a good number of suggestions that the UN create a “ready response” force of its own that would be on call and would have had special training for the broad tasks which UN troops now undertake. These suggestions have always come up against the “wall of costs” and some fears that the UN would become a “super-state” if ever it had its own forces. The UN Secretariat has established a “standby forces” study group to study equipment compatibility, standardization and shaping national units tasked for multilateral activities. Nothing visible has arisen from these studies, but they may be dusted off in future emergencies. The ending of the “East-West Cold War” confrontation has seen the proliferation and diversification of UN peacekeeping missions, increasingly complex and difficult to conduct. Yet, “blue helmets” are increasingly called upon not so much to safeguard a peace agreement but to create a situation of peace and to transform earlier relationships, as we see in Darfur, Sudan and the eastern provinces of the Democratic Republic of Congo (basically North and South Kivu). Sir Brian Urquhart, former UN Undersecretary-general for Peacekeeping Operations. 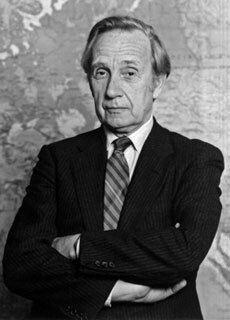 The British diplomat is widely regarded as the father of UN peacekeeping as we know it today. Currently, there is no such thing as consistency and predictability in UN actions to preserve order. The world is too complex, and UN Security Council resolutions are voted on the basis of national interests and political power considerations. UN “blue helmet” operations have grown both in numbers and complexity. Even with the best planning, the situation in which one deploys troops will always be fluid, and the assumption on which the planning was based may change by the time the force is ready for deployment or even as the force hits the ground. Policemen, civilian political officers, human rights monitors, electoral officials, refugee and humanitarian aid specialists all play important roles along with the military. To be successful, UN peacekeeping operations need clear objectives, but such objectives cannot be set by the force commanders themselves. Peacemaking forces are temporary measures that should give time for political leaders to work out a political settlement. The parties in conflict need to have a sense of urgency about resolving the conflict. Without that sense of urgency peacekeeping operations can become eternal as they have in Cyprus and Lebanon. There needs to be real international support for UN peacekeeping operations, otherwise there is a danger that they will be overburdened, under-funded and overstretched. UN Forces do not exist in a vacuum. They are part of world politics. They have limited but crucial roles. UN forces are one element in a peacemakers tool kit, but there needs to be a wide range of peace-building techniques available. It is not enough to say “Support our UN troops”; there must be concerned efforts by both diplomatic representatives and non-governmental organizations to resolve the conflicts where UN troops serve, as in Darfur, in the Congo, in the Middle East.